The k-refinement technique is found enhancing the accuracy convergence. Effective damping percentage is obtained for IGA from half-power bandwidth. FEM is found underestimating the damping ratios of high-frequency modes compared with IGA. T.J.R. Hughes, J.A. Cottrell, Y. Bazilevs, Isogeometric analysis: CAD, finite elements, NURBS, exact geometry and mesh refinement, Computer methods in applied mechanics and engineering, 194 (2005) 4135-4195. C. Boor, A Practical Guide to Splines, Springer-Verlag New York, 1978. J.A. Cottrell, T.J.R. Hughes, Y. Bazilevs, Isogeometric analysis: toward integration of CAD and FEA, John Wiley & Sons, 2009. A. Buffa, G. Sangalli, R. Vázquez, Isogeometric analysis in electromagnetics: B-splines approximation, Computer Methods in Applied Mechanics and Engineering, 199 (2010) 1143-1152. M.H. Aigner, Ch. Heinrich, C., Jüttler, B., Pilgerstorfer, E., Simeon, B., Vuong, A.-V, Swept volume parametrization for isogeometric analysis, In: Hancock, E., Martin, R. (Eds. ), The Mathematics of Surfaces. MoS XIII, 2009 Springer., (2009). T.J.R. Hughes, A. Reali, G. Sangalli, Efficient quadrature for NURBS-based isogeometric analysis, Computer methods in applied mechanics and engineering, 199 (2010) 301-313. Y. Bazilevs, V.M. Calo, T.J.R. Hughes, Y. Zhang, Isogeometric fluid-structure interaction: theory, algorithms, and computations, Computational mechanics, 43 (2008) 3-37. Y. Bazilevs, V.M. Calo, J.A. Cottrell, J.A. Evans, T.J.r.R. Hughes, S. Lipton, M.A. Scott, T.W. Sederberg, Isogeometric analysis using T-splines, Computer Methods in Applied Mechanics and Engineering, 199 (2010) 229-263. M.R. Dörfel, B. Jüttler, B. Simeon, Adaptive isogeometric analysis by local h-refinement with T-splines, Computer methods in applied mechanics and engineering, 199 (2010) 264-275. S. Lipton, J.A. Evans, Y. Bazilevs, T. Elguedj, T.J.R. Hughes, Robustness of isogeometric structural discretizations under severe mesh distortion, Computer Methods in Applied Mechanics and Engineering, 199 (2010) 357-373. V.P. Nguyen, C. Anitescu, P.A. Bordas, T. Rabczuk, Isogeometric analysis: an overview and computer implementation aspects, Mathematics and Computers in Simulation, 117 (2015) 89-116. T.J.R. Hughes, A. Reali, G. Sangalli, Duality and unified analysis of discrete approximations in structural dynamics and wave propagation: comparison of p-method finite elements with k-method NURBS, Computer methods in applied mechanics and engineering, 197 (2008) 4104-4124. D. Wang, W. Liu, H. Zhang, Novel higher order mass matrices for isogeometric structural vibration analysis, Computer Methods in Applied Mechanics and Engineering, 260 (2013) 92-108. C.H. Thai, H. Nguyen‐Xuan, N. Nguyen‐Thanh, T.H. Le, T. Nguyen‐Thoi, T. Rabczuk, Static, free vibration, and buckling analysis of laminated composite Reissner–Mindlin plates using NURBS‐based isogeometric approach, International Journal for Numerical Methods in Engineering, 91 (2012) 571-603. O. Weeger, U. Wever, B. Simeon, Isogeometric analysis of nonlinear Euler–Bernoulli beam vibrations, Nonlinear Dynamics, 72 (2013) 813-835. S. Shojaee, E. Izadpanah, N. Valizadeh, J. Kiendl, Free vibration analysis of thin plates by using a NURBS-based isogeometric approach, Finite Elements in Analysis and Design, 61 (2012) 23-34. L.V. Tran, A.J.M. Ferreira, H. Nguyen-Xuan, Isogeometric analysis of functionally graded plates using higher-order shear deformation theory, Composites Part B: Engineering, 51 (2013) 368-383. C.H. Thai, A.J.M. Ferreira, E. Carrera, H. Nguyen-Xuan, Isogeometric analysis of laminated composite and sandwich plates using a layerwise deformation theory, Composite Structures, 104 (2013) 196-214. P. Phung-Van, M. Abdel-Wahab, K.M. Liew, S.P.A. Bordas, H. Nguyen-Xuan, Isogeometric analysis of functionally graded carbon nanotube-reinforced composite plates using higher-order shear deformation theory, Composite structures, 123 (2015) 137-149. 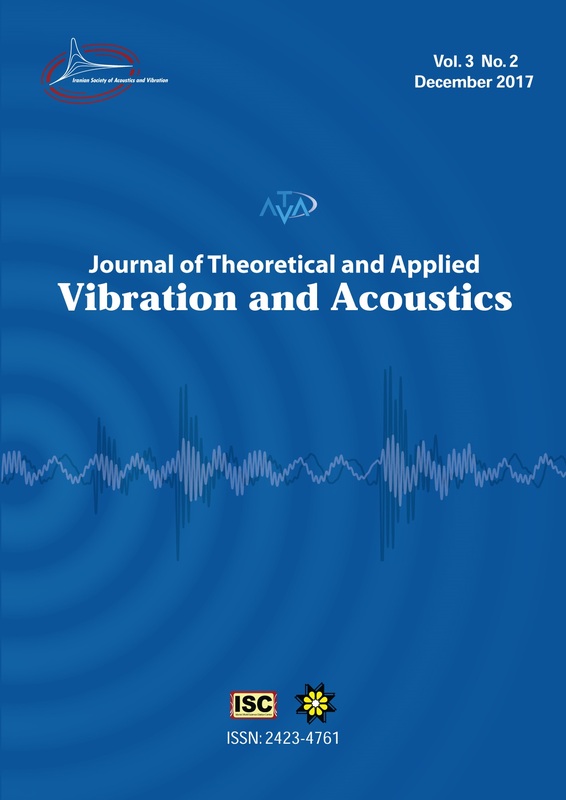 F. Tornabene, N. Fantuzzi, M. Bacciocchi, A new doubly-curved shell element for the free vibrations of arbitrarily shaped laminated structures based on Weak Formulation IsoGeometric Analysis, Composite Structures, 171 (2017) 429-461. T. Yu, S. Yin, T. Bui, S. Xia, S. Tanaka, S. Hirose, NURBS-based isogeometric analysis of buckling and free vibration problems for laminated composites plates with complicated cutouts using a new simple FSDT theory and level set method, Thin-Walled Structures, 101 (2016) 141-156. N. Fantuzzi, G. Della Puppa, F. Tornabene, M. Trautz, Strong Formulation IsoGeometric Analysis for the vibration of thin membranes of general shape, International Journal of Mechanical Sciences, 120 (2017) 322-340. S. Yin, T. Yu, T. Bui, P. Liu, S. Hirose, Buckling and vibration extended isogeometric analysis of imperfect graded Reissner-Mindlin plates with internal defects using NURBS and level sets, Computers & Structures, 177 (2016) 23-38. L. Dedè, C. Jäggli, A. Quarteroni, Isogeometric numerical dispersion analysis for two-dimensional elastic wave propagation, Computer Methods in Applied Mechanics and Engineering, 284 (2015) 320-348. MATLAB 7.04 User’s Manual., MathWorks, USA., 2005. C.R.W. Farrar, K., An introduction to structural health monitoring, Philosophical Transactions of the Royal Society of London A, Mathematical, Physical and Engineering Sciences, 365 (2007) 303-315. P.C. Chang, S.C. Liu, Recent research in nondestructive evaluation of civil infrastructures, Journal of materials in civil engineering, 15 (2003) 298-304. S.L. Chen, H.C. Lai, K.C. Ho, Identification of linear time varying systems by Haar wavelet, International journal of systems science, 37 (2006) 619-628. ASTM, A568-Standard, "Specification for Steel Sheet, Carbon, and High Strength Low-Alloy, Hot-Rolled and Cold-Rolled". Y. Kitada, Identification of nonlinear structural dynamic systems using wavelets, Journal of Engineering Mechanics, 124 (1998) 1059-1066. K.M. Liew, Q. Wang, Application of wavelet theory for crack identification in structures, Journal of engineering mechanics, 124 (1998) 152-157.